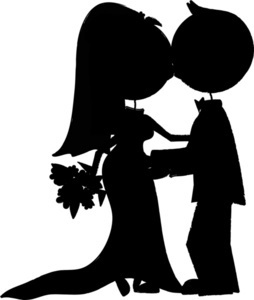 In the U.S., around 2.2 million people get married annually. From a health insurance perspective, a marriage is a qualifying life event. This means you have the option of adding a spouse to the other spouse’s health insurance, typically within 30 to 60 days of the marriage date, even if it isn’t currently an open enrollment period. Many newlyweds or soon-to-be newlyweds wonder whether married couples have to be on the same insurance plan or if they have the ability to maintain separate insurance. Additionally, learning about the potential benefits and drawbacks of choosing how to proceed can feel daunting. Ultimately, there are a few options newlyweds have on the table. Here’s what you need to know. Can Married Couples Have Separate Health Insurance? In short, yes, married couples can have separate health insurance. There is no legal requirement that you use the same plan or insurance provider, so the choice is yours. It’s important to note that, if you choose to maintain separate health insurance initially and change your mind after the qualifying life event window, you are stuck with that choice until the next open enrollment period. However, the same is also true if you decide to add a spouse to the other’s existing plan. This means it’s important to evaluate your options quickly. While a 30 to 60-day window seems substantial, it can fly by fast. If you don’t make a change within that time frame, you are more-or-less stuck with separate insurance until open enrollment. If you both have separate health insurance through your employers at the time of your marriage, then you have a few options. First, you can keep your individual plans, essentially maintaining the status quo. Second, you have two options where the approach is similar. You can have one spouse join the other’s plan. However, since you each have access to health insurance through an employer, spouse A could join spouse B’s plan or vice versa. Technically, you have two options to evaluate here. Some employers don’t provide family members (even spouses) access to the company’s plan. However, this is usually rare. You should see if the option is available as you assess your choices. In some cases, you may have the option to explore alternative sources for health insurance. For example, you could secure coverage on your own through a marketplace or a separate provider. However, this approach is usually more expensive than employer-sponsored plans. Companies can often access lower rates since they have a large group of potential subscribers (their employees). Essentially, they secure a form of bulk purchasing discount, allowing them to provide the benefit at a lower cost. Plus, some employers pay for a portion of their employees’ health insurance costs. This means they are giving you more than access to a plan; they also help pay for it. If you strike out on your own, this is a benefit you lose. Still, that doesn’t mean it isn’t worth exploring. What If a Spouse is on Medicaid or Medicare? If one of you is on Medicaid, then you may not be able to maintain separate health insurance. If you or your spouse had access to Medicaid due to being low-income, then their eligibility is subject to re-evaluation after marriage. Once you are married, your joint income and family size determine eligibility for income-based Medicaid. If you exceed the limits, then your spouse doesn’t qualify for that coverage and is typically dropped from the program. However, if their access to Medicaid is due to a disability, they may be able to maintain their coverage. Medicaid requirements can vary by state, so it’s important to examine them carefully to see whether they are still eligible after marriage. Medicare is different. Eligibility for coverage is based on age or disability, not income. A person who qualifies for Medicare can keep their coverage after marriage in the vast majority of cases. It’s important to note that you can have Medicare and another insurance plan at the same time. If your spouse is on Medicare, they could join your plan too (if your employer allows it). It’s an approach that can provide more robust coverage and may be beneficial if their medical costs are high. Should Married Couples Keep Their Own Health Insurance? Whether keeping separate health insurance is a smart move depends on your unique situation. For example, the nature of the plans you have available, whether your employers allow spouses to join, and access to Medicare may play significant roles. However, it’s important to understand that maintaining separate plans is often more expensive than being on a plan together. For example, your out-of-pocket exposure is significantly higher when you keep separate plans. This is because you’re each subjected to separate out-of-pocket maximums on your individual plans, so you don’t benefit from family out-of-pocket limits to the same degree as you would if you were on a plan together. Additionally, your cumulative premiums may be higher than if you join the same plan. However, this could vary depending on employer contributions, so you want to do the math and see if that applies to your situation. You also have to take your medical needs into consideration. Some health insurance plans offer higher levels of coverage, which may be beneficial depending on whether either of you has existing conditions that are expensive to treat. In some cases, such as if one spouse is generally healthy and the other has more medical needs, putting the healthier spouse on a lower-priced plan than the other may be more cost-effective. Ultimately, you need to examine each option closely. Consider your current and future health care needs, the plan costs, and even the likelihood that one of you will change jobs in the near future (affecting your ability to maintain health insurance from that employer). Then, make a decision that’s right for you. Can married couples have separate health insurance? Tell us about your experience in the comments below.